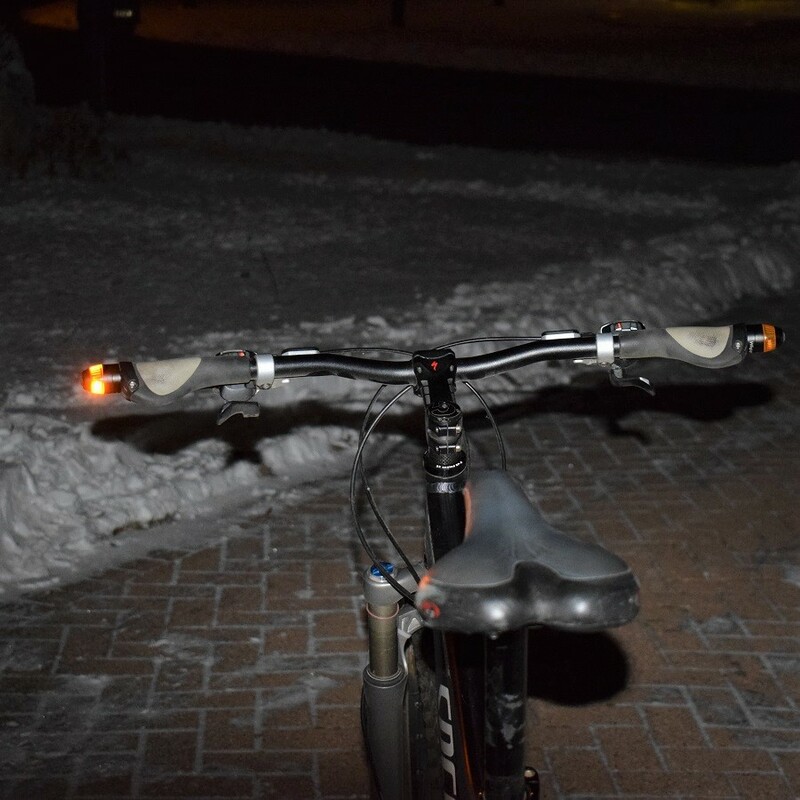 Here at HaveFunBiking we have shared blinker systems embedded in bicycle helmets, rear mounted signaling lights and now for those who have flat handlebars, the WingLights. This inexpensive directional light system (a perfect stocking stuffer) easy mount into each end of the handlebars. Then, when making your turn, simply tap the light at the end of the right or left handle grip and move to the proper lane. Just like signaling when driving a car. As a cyclist riding on the road or trail you will find added comfort and visibility in displaying your intention when changing lanes or direction. Just tap the right blinker before gesturing with a right hand signal. Just tap the left blinker before gesturing with your left hand signal. The WingLights Mag, their original, is a high-quality turn signal system that magnetically attaches to your handlebar ends. It is easy to install and use. 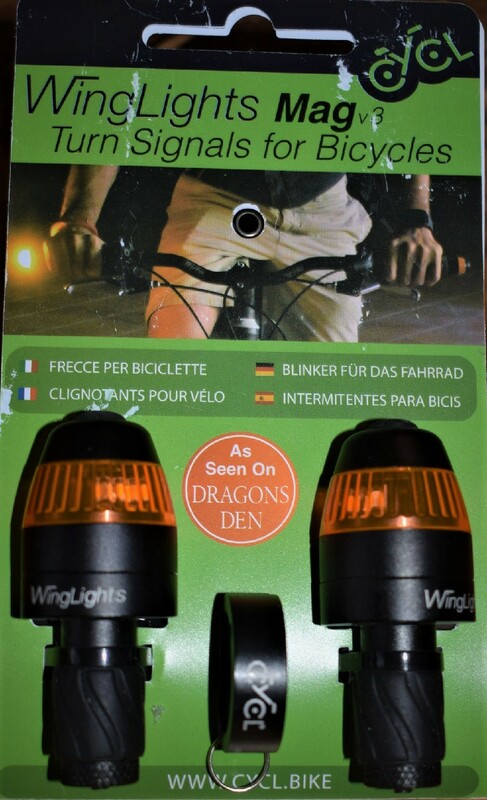 These turn signals flash bright amber and can be seen from all angles. When removed, the units clip together onto a keyring for safekeeping. The Mag is compatible with all handlebars with an inner diameter from 14.7mm to 23mm. They retail for $49.99 and batteries are included. The WingLights Fixed v3 is a brand new, non-magnetic turn signal, built to the same high specification as the original system. Like the Mag, the Fixed v3 is permanently attached to your handlebar. The Fixed v3 sells for $34.99, on Amazon. The blinkers help to improve cyclists’ visibility in dangerous areas, in and around intersections. At HaveFunBiking.com, we highly recommend the continued practice of using hand signals. 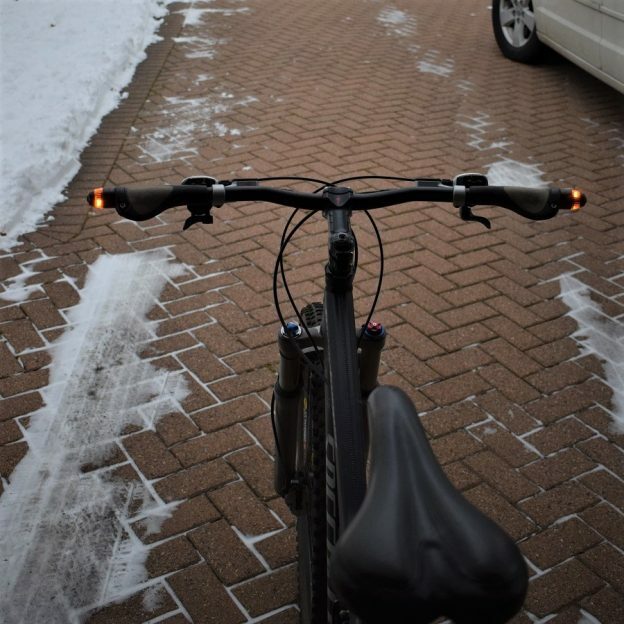 This turning light system, like others on the market offers added visibility to show your intentions when changing directions. However, they should not replace the practice of using hand signals. By continuing to gesture your movement with hand signals, along with blinkers, you multiply your chances of being seen, and staying safe. With this review, we found installation quick and easy, taking under ten minutes. At the end of each handlebar grip, cut a sharp knife so the handlebar tube is exposed. Insert the rubber plunger of the Winglight firmly into the handlebar and tighten. You will find full instruction included in the package or for a comprehensive guide on this blinker system check out the instructional video here. The current WingLights are only available for straight (sometimes referred to as flat) handlebars. Curved handlebars with a maximum curvature of 30° also work. The company is working on a design compatible with drop bars, bullhorn handlebars, or cruise bars for the future. 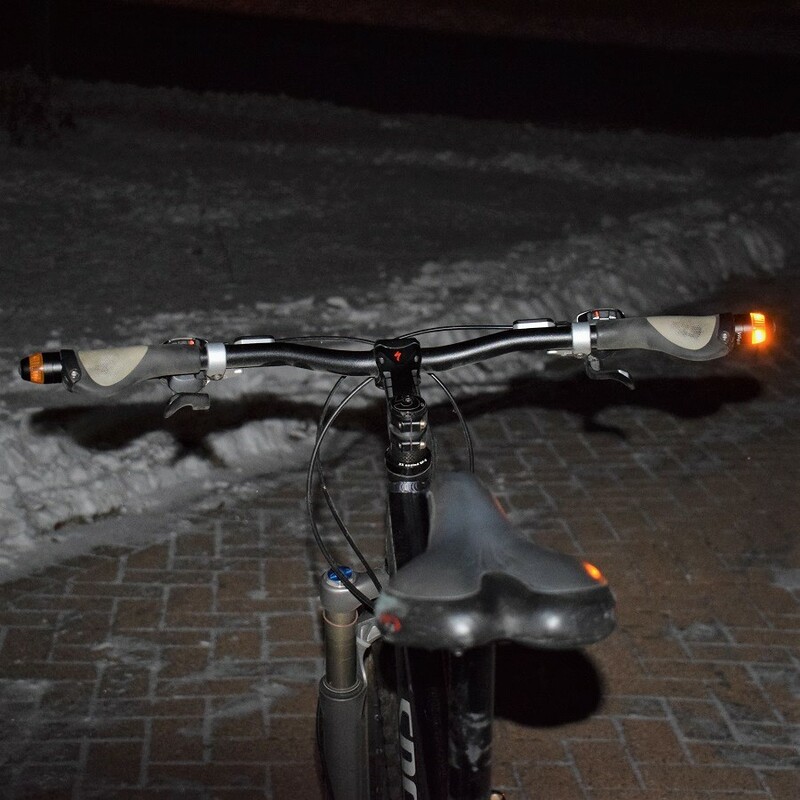 This entry was posted in News, Products and tagged bicycle directional signals, bicycle visibility, blinkers, Hand signals, WingLights, WingLights Fixed v3, WingLights Mag on December 9, 2018 by Russ Lowthian.